The word “geek” makes most people think of folks like those in the cast of The Big Bang Theory, or the people you meet in role-playing games or at Star Trek conventions. Until recently, being labeled a geek was a mark of shame used to denote socially awkward, bright people who played too many video games and shied away from sports. But the truth is, everybody’s a geek in his or her own way. And while you may not be surprised to discover that the comic book enthusiast who can discuss the comparative merits of the two Thor or three Iron Man movies is a geek, just get a sports fan talking about the statistics of his favorite players from his favorite teams, and guess what? Total geek! The same is also true for the hardened military officer you talk with about tactics or logistics, the slick politician enthusiastically discussing his pet issues, or the beautician you ask about the different kinds of products you can use to control your hair. A geek is simply somebody who is happily, unabashedly passionate about something, even to the point of embarrassing himself or the people around him. Sound familiar, all you entrepreneurs out there? Think of the last time somebody convinced you to buy something you didn’t need. It’s a fair bet that person was a geek for whatever they convinced you to buy. Because of your passion, you’re one of the most qualified people in your company to share the benefits of what you have to offer. Capitalize on that qualification, whether you’re actually taking sales calls or simply getting out in the community to talk with qualified buyers. Your goal is to find conversations of the third kind even tangentially related to your product or service. 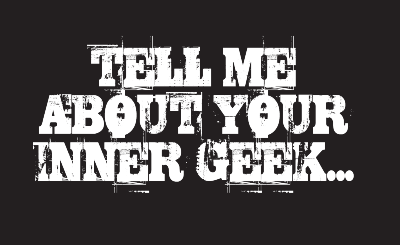 Get down-and-dirty geeky about it with other geeks. Once you accumulate a few true believers, share information and insider scoops on the topics to bring them further into your camp. In Seth Godin’s book, We Are All Weird, he notes that, with the Internet putting us all in instant contact with billions of people, you can find fellow geeks on any subject no matter how niche or bizarre the topic. Start connecting with your fellow enthusiasts, people who share your passion, and find ways to invite them to advocate for your brand. Even if you make no money directly from them, they will drive business your way. If you really want a chance to geek out about what you do, go to a convention … but not a convention for the people in your industry. Instead, go to a convention for something else you’re geeky about. If you design websites for a living but build model rockets in your spare time, go to a model rocket convention. The Web design convention will be full of Web designers. Model rocket companies have Web pages that need better design. The best part about getting geeky with what you do is it’s fun. You didn’t start teaching karate/running a bar/building widgets/being a mediator because the topic bored you to tears. You got into it because some part of it excited the living daylights out of you. It’s time to share that excitement. What parts of your business excite you the most? Get geeky with us and join the conversation by sharing in the comments below!